If a powerful, high-spec smartphone is what you really care about, then the upcoming ZTE Grand S II may be for you. Though nothing has been confirmed, a leak from Chinese regulator Tenaa says that the device will be the first handset to ship with 4GB of RAM. The Grand S II (which has an oddly similar naming structure to the Samsung Galaxy phones) will reportedly include a Snapdragon 801 processor as well, however those CPUs are already set to be in many 2014 smartphones. In ZTE’s previous flagship, the Nubia X6, there was a 3GB version of the handset that was spec’d higher than the base model. The same may end up being true for the Grand S II which means that one version would ship with 3GB and the other would be 4GB. Reaching the 4GB of RAM milestone is big for smartphones as it is the highest amount of RAM that can be included in a handset if it is based upon a 32-bit ARM chip. So, other aspects of the phone will have to change if we are to see anything higher than 4GB. ZTE first showed off the Grand S II during CES 2014 in January. During that event, the company had publicly stated that the phone would ship with just 2GB of RAM and would be running Android 4.3. For a flagship, 2GB seems a bit low, however the latest leak would mean that ZTE either chose to double the RAM or there are multiple versions coming out. No matter what, 3GB smartphones are beginning to appear like the Galaxy Note 3, so 4GB should be just around the corner. Now the big question is whether or not ZTE will be the first one to reach the 4GB mark. Question – Are you excited for phones with 4GB of RAM, or do you feel that there is no legitimate reason for them right now? 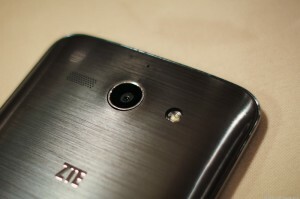 Summary: ZTE is reportedly going to launch a version of its Grand S II smartphone with 4GB of RAM. If true, it will be the first phone with 4GB of RAM.